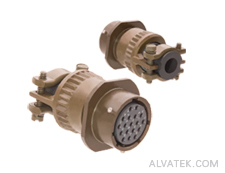 MIL-DTL-26482 Series 1 solder connectors form the foundation for many military and industrial interconnect applications. 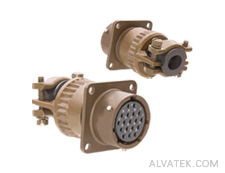 The series features heavy-duty connectors with solder contacts and bayonet or “quick-disconnect” coupling. 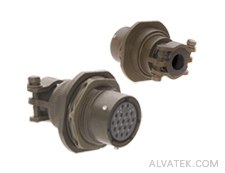 MIL-DTL-26482 features bayonet “quick-disconnect” coupling, making connecting and disconnecting quick and easy! 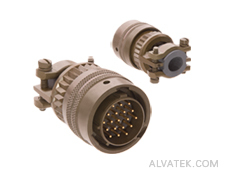 MIL-DTL-26482 Series 1 connectors are rated to IP67. 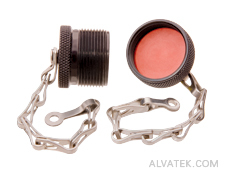 Environmental sealing is achieved with a grommet and clamp design. Operating temperature for the connectors is from –55° to +125°C. Operating voltage is 1,000 VAC (RMS) at sea level. The series offer pin and socket contacts that are machined from low-loss copper alloy and are gold plated to eliminate contact corrosion and provide an indefinite shelf life. 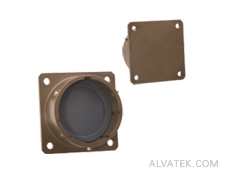 All connectors have resilient inserts that provide high dielectric strength and a good moisture barrier. 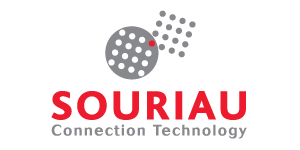 A variety of shell finishes (including non-cadmium) and a variety of accessories are available to ensure interconnect reliability. 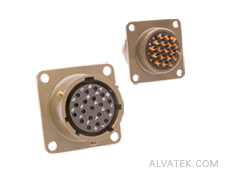 MIL-DTL-26482 Series 1 connectors are IP67 rated for applications in harsh environments. Aerospace-grade aluminum shells provide heavy-duty protection while a standard olive drab cadmium finish provides excellent corrosion resistance. 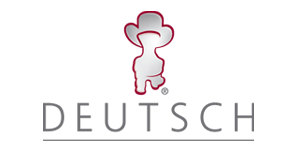 Alternate finishes (including RoHS) are available. The MS3116 plug is compatible with all MIL-DTL-26482 Series 1 receptacles. 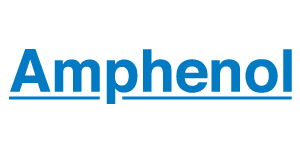 Backshells are available to meet a variety of service class requirements. Always use a protective cover when plug is disconnected to protect contacts from environmental contaminants and impact. The MS3110 wall mount receptacle has a standard four-hole flange for mounting on the front or rear of a panel. A protective backshell is recommended if the connector is subjected to environmental hazards. A cover should be used to protect the contacts from damage. The MS3112 box mount receptacle offers a low-profile rear design without accessory threads, permitting it to be mounted in confined spaces. 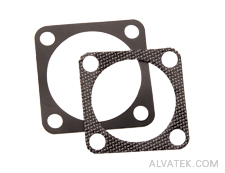 A gasket is recommended to seal the mounting location. A cover should be used to protect contacts when the connector is not in use. The MS3114 jam nut receptacle provides increased environmental protection due to its single mounting hole design. An integrated silicone O-ring offers additional sealing. A protective backshell is recommended if the connector is subjected to environmental hazards. A cover should be used to protect the contacts from damage. MS3111 in-line or cable mount receptacles are used for extension cord applications. A reduced flange with rounded corners protects the connector from impact when the attached cable is dragged or dropped. A protective backshell is recommended if the connector is subjected to environmental hazards. A cover should be used to protect the contacts from damage. MIL-DTL-26482 mounting gaskets seal the mounting space between a receptacle and a panel to maintain the environmental integrity of the enclosure. They may be used in either rear or front mount receptacle installations. MIL-26482 dust covers should always be used to environmentally seal connectors and protect them from damage. They not only protect contacts from dirt and corrosion, but they also keep the coupling threads clean and ready for use. 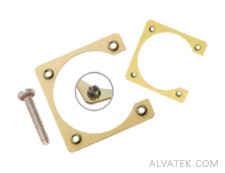 Mounting brackets for MIL-5015 connectors feature captive stainless steel lock nuts to ensure reliable mounting for critical applications. Optional sealing screws with O-rings will seal the mounting holes on your enclosure from water ingress. Dummy receptacles are designed to prevent operator injury and connector damage by providing a safe place to stow and organize unused cables. They are for use with all MIL-26482 plugs. Solid flange stowage receptacles are available when full environmental sealing is required. 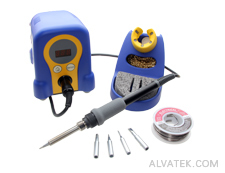 The use of a professional soldering station is the first step to ensuring connector reliability. This solder station kit provides a complete solution for terminating mil-spec style solder contacts to stranded or solid core wire. 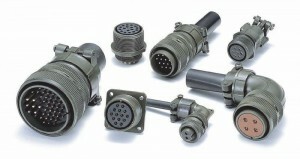 Compatible for all MIL-26482 Series 1 connectors. MIL-C-26482, MIL-26482, MIL-DTL-26482, MIL-DTL-26482H, MS26482, 26482 Series 1.